4750201 FGC15 Mitsubishi FGC15 GAS LPG Forklift. Spare Parts Catalog. Service (workshop) Manual. Operator's Instruction Manual. 4750202 FGC18 Mitsubishi FGC18 GAS LPG Forklift. Spare Parts Catalog. Service (workshop) Manual. Operator's Instruction Manual. 4750203 FGC20 Mitsubishi FGC20 GAS LPG Forklift. Spare Parts Catalog. Service (workshop) Manual. Operator's Instruction Manual. 4750204 FGC25 Mitsubishi FGC25 GAS LPG Forklift. Spare Parts Catalog. Service (workshop) Manual. Operator's Instruction Manual. 4750205 FGC28 Mitsubishi FGC28N GAS LPG Forklift. Spare Parts Catalog. Service (workshop) Manual. Operator's Instruction Manual. 4750206 FGC30 Mitsubishi FGC30 GAS LPG Forklift. Spare Parts Catalog. Service (workshop) Manual. Operator's Instruction Manual. 4750207 FGC33 Mitsubishi FGC33N GAS LPG Forklift. Spare Parts Catalog. Service (workshop) Manual. Operator's Instruction Manual. 4750208 FGC35 Mitsubishi FGC35K GAS LPG Forklift. Spare Parts Catalog. Service (workshop) Manual. Operator's Instruction Manual. 4750209 FGC40 Mitsubishi FGC40K GAS LPG Forklift. Spare Parts Catalog. Service (workshop) Manual. Operator's Instruction Manual. 4750210 FGC45 Mitsubishi FGC45K GAS LPG Forklift. Spare Parts Catalog. Service (workshop) Manual. Operator's Instruction Manual. 4750211 FGC55 Mitsubishi FGC55K GAS LPG Forklift. Spare Parts Catalog. Service (workshop) Manual. Operator's Instruction Manual. 4750212 FGC60 Mitsubishi FGC60K GAS LPG Forklift. Spare Parts Catalog. Service (workshop) Manual. Operator's Instruction Manual. 4750213 FGC70 Mitsubishi FGC70K GAS LPG Forklift. Spare Parts Catalog. Service (workshop) Manual. Operator's Instruction Manual. 4750214 FG15 Mitsubishi FG15FC GAS LPG Forklift. Spare Parts Catalog. Service (workshop) Manual. Operator's Instruction Manual. 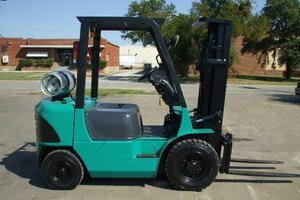 4750215 FG18 Mitsubishi FG18FC GAS LPG Forklift. Spare Parts Catalog. Service (workshop) Manual. Operator's Instruction Manual. 4750216 FG20 Mitsubishi FG20 FC GAS LPG Forklift. Spare Parts Catalog. Service (workshop) Manual. Operator's Instruction Manual. 4750217 FG25 Mitsubishi FG25 FC GAS LPG Forklift. Spare Parts Catalog. Service (workshop) Manual. Operator's Instruction Manual. 4750218 FG30 Mitsubishi FG30 FC GAS LPG Forklift. Spare Parts Catalog. Service (workshop) Manual. Operator's Instruction Manual. 4750219 FG35 Mitsubishi FG35 GAS LPG Forklift. Spare Parts Catalog. Service (workshop) Manual. Operator's Instruction Manual. 4750220 FG40 Mitsubishi FG40 GAS LPG Forklift. Spare Parts Catalog. Service (workshop) Manual. Operator's Instruction Manual. 4750221 FG45 Mitsubishi FG45K GAS LPG Forklift. Spare Parts Catalog. Service (workshop) Manual. Operator's Instruction Manual. 4750222 FG50 Mitsubishi FG50K GAS LPG Forklift. Spare Parts Catalog. Service (workshop) Manual. Operator's Instruction Manual. 4750223 FD60 Mitsubishi FD60 GAS LPG Forklift. Spare Parts Catalog. Service (workshop) Manual. Operator's Instruction Manual. 4750224 FD70 Mitsubishi FD70 GAS LPG Forklift. Spare Parts Catalog. Service (workshop) Manual. Operator's Instruction Manual. 4750225 FD80 Mitsubishi FD80 GAS LPG Forklift. Spare Parts Catalog. Service (workshop) Manual. Operator's Instruction Manual. 4750226 FD90 Mitsubishi FD90 GAS LPG Forklift. Spare Parts Catalog. Service (workshop) Manual. Operator's Instruction Manual. 4750227 FD100 Mitsubishi FD100 GAS LPG Forklift. Spare Parts Catalog. Service (workshop) Manual. Operator's Instruction Manual. 4750228 FD115 Mitsubishi FD115 GAS LPG Forklift. Spare Parts Catalog. Service (workshop) Manual. Operator's Instruction Manual. 4750229 FD135 Mitsubishi FD135 GAS LPG Forklift. Spare Parts Catalog. Service (workshop) Manual. Operator's Instruction Manual. 4750230 FD150 Mitsubishi FD150A GAS LPG Forklift. Spare Parts Catalog. Service (workshop) Manual. Operator's Instruction Manual.